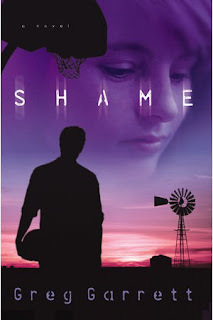 Tina Ann Forkner writes contemporary fiction that challenges and inspires. She grew up in Oklahoma and graduated with honors from CSU Sacramento before settling in Wyoming. She lives with her husband, their three bright children and their dog and stays busy serving on the Laramie County Library Foundation Board of Directors. She is the author of Ruby Among Us, her debut novel, and Rose House, which recently released from Waterbrook Press/Random House. 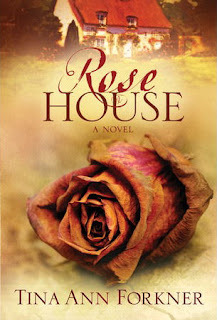 Still mourning the loss of her family in a tragic accident, Lillian Diamon finds herself drawn back to the Rose House, a quiet cottage where four years earlier she had poured out her anguish among its fragrant blossoms. She returns to the rolling hills and lush vineyards of the Sonoma Valley in search of something she can’t quite name. But then Lillian stumbles onto an unexpected discovery: displayed in the La Rosaleda Gallery is a painting that captures every detail of her most private moment of misery, from the sorrow etched across her face to the sandals on her feet. What kind of artist would dare to intrude on such a personal scene, and how did he happen to witness Lillian’s pain? As the mystery surrounding the portrait becomes entangled with the accident that claimed the lives of her husband and children, Lillian is forced to rethink her assumptions about what really happened that day. A captivating novel rich with detail, Rose House explores how the brushstrokes of pain can illuminate the true beauty of life. Melanie Morey Jeschke (pronounced jes-key), a native of Pittsburgh, Pennsylvania, grew up in Richmond, Virginia, and graduated from University of Virginia as a Phi Beta Kappa with an Honors degree in English Literature and a minor in European and English History. A free-lance travel writer, Melanie contributed the Oxford chapter to the Rick Steves’ England 2006 guidebook. She is a member of the Capital Christian Writers and Christian Fiction Writers as well as three book clubs, and taught high-school English before home-schooling most of her nine children. Melanie lectures on Lewis and Tolkien, Oxford, and writing, and gives inspirational talks to all manner of groups, including university classes, women’s clubs, young professionals, teens, and school children. 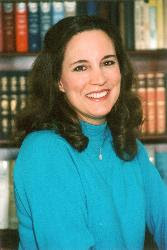 A fourth generation pastor’s wife (her father Dr. Earl Morey is a retired Presbyterian minister), Melanie resides in the Greater Washington, D.C. area with her children and husband Bill Jeschke, a soccer coach and the Senior Pastor of The King’s Chapel, an non-denominational Christian church in Fairfax, Virginia. 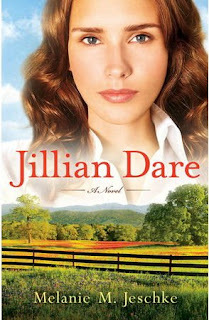 Jillian Dare leaves her Shenandoah Valley foster home behind and strikes out on her own as a nanny at a large country estate in northern Virginia. She is delighted with the beauty of her new home, the affection of her young charge Cadence Remington, and the opportunity for frequent travel to the Remington castle in England. She is less certain about her feelings for her handsome but moody employer, Ethan. In spite of herself, Jillian realizes she is falling for her boss. But how can a humble girl ever hope to win a wealthy man of the world? And what dark secrets from the past is he hiding? 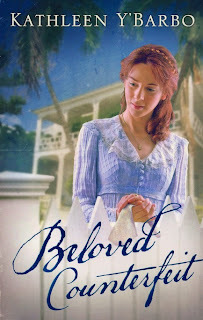 This contemporary story, inspired by the well-loved classic Jane Eyre, will capture readers' hearts. Hi, I'm Amber, but my friends call me Tiff, short for Tiffany, my first name. I am in my 30's, married the love of my life in July 2007, live in Colorado and just had an incredibly beautiful daughter named Victoria. I love to travel and visit new places. Ultimately, my dream is to own horses and live in a one-level rancher or log cabin nestled in the foothills of the mountains. For now, I will remain where I am and do what I love—design web sites and write. 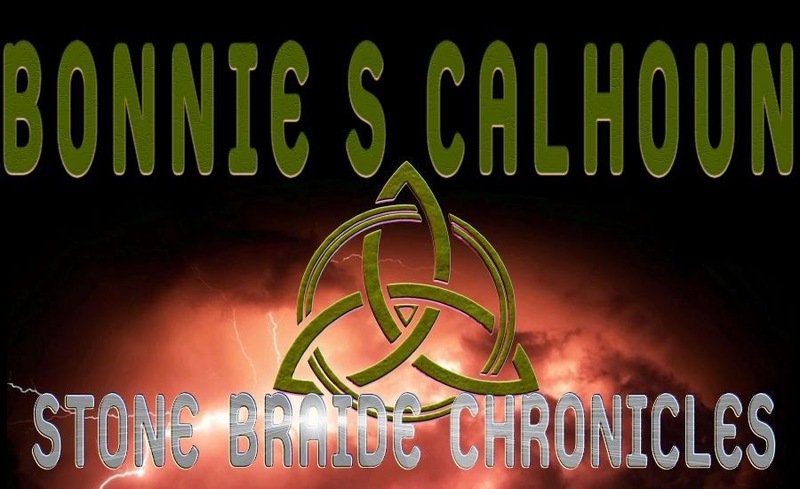 I got involved with web design in 1997, when I was asked to take over running the official web site for the television series Dr. Quinn, Medicine Woman. That eventually led to a series of negotiations where I was offered the job of running world-renowned actress Jane Seymour's official fan site. 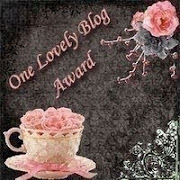 That has branched into doing web sites for a variety of clients, including: authors J.M. Hochstetler, Trish Perry, Kathy Pride, Louise M. Gouge, Susan Page Davis, and Jill Elizabeth Nelson, actor William Shockley (the voice of AT&T and Toyota) and many others. With the help of a handful of other web site "technos," Eagle Designs was born! Feel free to visit and see our other clients. Amber's very first book, Promises, Promises, released in February 2008. It's a historical fiction set in Delaware during the Colonial period and the Great Awakening. 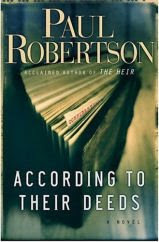 The other 2 books in the series are Quills And Promises (July 2008) and this one, Deceptive Promises (December 2008). In 2009, they will be repackaged for a state set entitled Liberty's Promise. 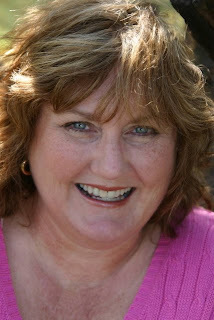 She has also sold another series set in historical Michigan during the Industrial Revolution. The 3 books in that series will begin releasing in May 2009 and will be repackaged in 2010. MARGRET WANTS TO BELIEVE SAMUEL'S PROMISES. Is deception fair in wartime Margret Scott must deal with this question as she finds herself attracte to the enigmatic Samuel Lowe. As the tensions grow between the colonists and the British soldiers and loyalists, Margret cannot always tell where Samuel's loyalties lie. Samuel's duties have him working for both sides of this war, and he often finds himself torn between what is right and what is wrong. He promises Margret she can trust him, and Margret promises him she does. But can promises born in deception be trusted? Can a relationship built in uncertainty survive? If you would like to read the first chapter of Deceptive Promises, go HERE. 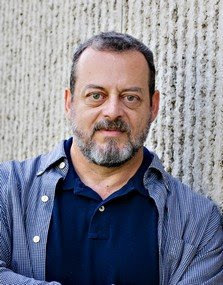 MARK ANDREW OLSEN whose novel The Assignment was a Christy Award finalist, also collaborated on bestsellers Hadassah (now the major motion picture: One Night With the King), The Hadassah Covenant, and Rescued. Two of his last books were the supernatural thriller The Watchers, and The Warriors. 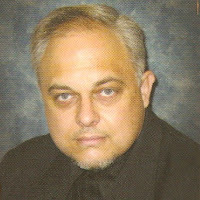 The son of missionaries to France, Mark is a Professional Writing graduate of Baylor University. He and his wife, Connie, live in Colorado Springs with their three children. When an al-Qaeda email is intercepted, threatening an attack on America, it leads to the capture of the group's leader. Yet even under fierce interrogation, the terrorist clings to his jihadist beliefs and refuses to divulge any information. Desperate, the Army resorts to extreme measures--a controversial protocol designed to break a subject's resistance. But the attempt must be masked as an offer of clemency and rely on an outside party, someone who is unaware of the protocol's aims. KATHLEEN MILLER Y’BARBO is a tenth-generation Texan and a mother of three grown sons and a teenage daughter. She is a graduate of Texas A&M University and an award-winning novelist of Christian fiction whose first published work jumped onto the Christian Booksellers Association bestseller list in its first month of release. 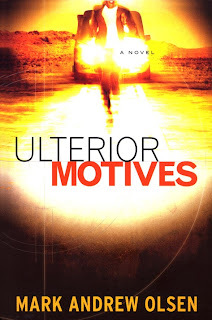 Kathleen is a former treasurer for the American Christian Fiction Writers, and is a member of the Author’s Guild, Inspirational Writers Alive, Words for the Journey Christian Writers Guild, and the Fellowship of Christian Authors. 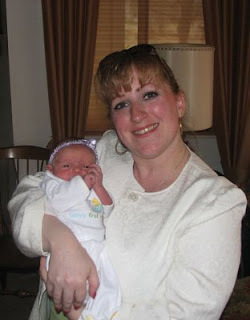 In addition, she is a sought-after speaker, and her kids think she’s a pretty cool mom, too…most of the time, anyway. Washed ashore on Fairweather Key, Ruby O’Shea and her three nieces─the offspring of the pirate Thomas Hawkins and Ruby’s late sister─have a chance for a new beginning as Ruby takes a job in a boardinghouse and the girls are passed off as her daughters. But will Ruby be able to confess all when she falls for Micah Tate, a widower, wrecher, and soon-to-be preacher? Micah is determined to marry the young woman who has captured his heart despite knowing she has something to hide. But will he be able to remain true to his vows when his lady love’s shady past comes to light? 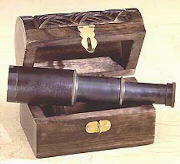 Captain Thomas Hawkins will go to any length to discover the whereabouts of his daughters. What will his determination cost the folks of Fairweather Key? When Ruby finds herself bereft of her newfound love and protector, will she run away in an attempt to escape her present as she did her past? Will Micah’s love cover the multitude of Ruby’s sins, or will Ruby’s duplicity cost her everything? 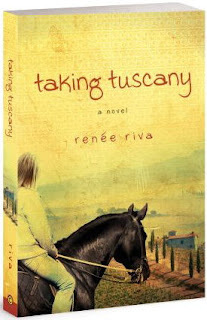 Renee Riva writes humorous stories with a message, for both children and adults. Having been raised in a large Italian family with a great sense of humor, she has much to draw from for developing quirky characters. She loves sharing her secrets for story starters at Young Author events, helping to spark the imagination of young minds. Renee and her husband live in Richland, Washington, with their three daughters, a dog, a cat, and until recently, her beloved hamster—may she rest in peace. A. J. Degulio loved the idea of a visit to the Old Country... until her family decided to stay. It's 1972 and she's turning fourteen in a crumbling castle on a hill in Tuscany, wishing she were back in Idaho with her beloved dog, Sailor. In Italy, her blonde hair makes her stick out like a vanilla wafer in a box of chocolate biscotti, and she's so lonely her best friend is a nun from the local convent. The challenges of roots and relatives are nothing new to A. J., but she's going to need more than the famous Degulio sense of humor to survive. Can't anyone see that Italy isn't really home? It will take a catastrophe - and a few wise words from a friend - for A. J. to understand that sometimes the only thing you can change is your perspective. Paul Robertson is a computer programming consultant, part-time high-school math and science teacher, and the author of The Heir. He is also a former Christian bookstore owner (for 15 years), who lives with his family in Blacksburg, Virginia. A Deadly Game of Justice Versus Mercy Charles Beale lives outside the shadow of Washington, D.C. Politics and power matter only when a client crosses the Potomac to visit his Alexandria Rare Books shop. But that all changes when a former client--a man deeply connected in the Justice Department--is found murdered after a break-in gone bad. When Charles reclaims at auction the books he'd once sold, he quickly discovers he's bought more trouble than he could have ever imagined. Inside one volume are secrets. A collection of sins that, if revealed, could destroy reputations, careers--even lives. Charles soon learns he isn't the only who knows. Going to the police means ruining a multitude of lives. But staying silent puts a target on his shop, his wife--and himself. Charles must decide: Should one mistake really cost you everything? Greg Garrett has published newspaper and magazine features, short stories, personal and critical essays, reviews, encyclopedia articles, novels, a memoir, and books of nonfiction during his thirty-year writing career. Author of the critically acclaimed novels Free Bird (chosen by Publishers Weekly and the Rocky Mountain News [Denver] as one of the best first novels of 2002) and Cycling, as well as the nonfiction books The Gospel Reloaded (with Chris Seay), Holy Superheroes!, the spiritual autobiography Crossing Myself, The Gospel According to Hollywood, and the forthcoming Stories from the Edge, Dr. Garrett is a past winner of the Pirate's Alley William Faulkner Prize for Fiction, and a regional CASE gold medalist for nonfiction. He was elected to the Texas Institute of Letters in 2005 for his lifetime literary achievements. Professor of English at Baylor University, Dr. Garrett was named the Outstanding Baylor Faculty Member for 1994 by the Baylor Student Congress, and received the university administration's outstanding professor award in 1996. He received his Ph.D. in English from Oklahoma State University, and recently completed the M.Div. at the Episcopal Seminary of the Southwest in Austin, where he lives, writes, and serves as a lay preacher at St. David's Episcopal Church. It's hard to appreciate the life you have when you're wondering about the one you might have had. John Tilden's glory days are far behind him, and now it seems like all he has is the monotony of everyday living. He certainly thought there'd be more to it than his ramshackle Oklahoma farm and a mundane job coaching basketball at his old high school. He questions his fatherhood skills too: His oldest son won't speak to him, his younger son wants to quit the basketball team, and now his daughter wants to go out on dates. He loves his wife, but the marriage has settled into complacency. With John's twentieth high school reunion approaching, he has agreed to play in an exhibition game with the old championship team. And his ex-girlfriend's back in town, newly single. What might have been now seems closer than ever.